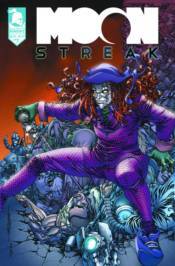 Moon Streak dies... is something that could totally happen. Boss Brass is the boss for a reason. The epic fight between Boss Brass and Moon Streak concludes in the final issue of the first story arc. Will V have to find a new career after this? Will Sam have to return the matching 'Cool Dudes' jackets he just had made? Find out in this new issue!